or have your messages in a bottle. But maybe you don’t like your data to fizz out and instead brew it around? Then you should have a beer memory stick. Unfortunately this is rather a warm one! If you want to add insult to injury you can have it stale too. I’m sorry if I grossed you out now. But maybe I can make it up with something more distinguished. 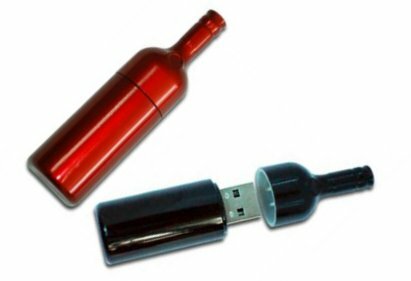 So how about a good bottle of wine flash drive? As you can see, there’s a USB drink for every thirst and need. If yours is small you can have your memory stick bottle filled with 1GB or if its great, with 8GB. One thing you have to consider though is that unlike real ones, these bottles either open at the bottom or at the top with the whole bottleneck. That way the USB interface is revealed and you can spill all your data without a worry. However, if you don’t want to pass on the traditional lid you can simply add a cork stopper. As these have a capacity of up to 16GB you can be assured that there will be no bottlenecks in your storage. 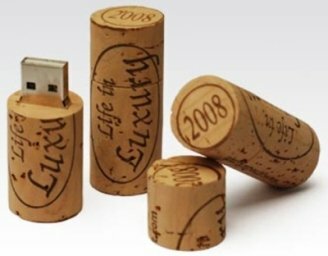 But if too much pressure should build up and thus have a hard time removing the cap or cork you may have to add yet another memory stick. Not only could you get a grip on that sticky USB cap but you could actually open a real bottle with it. So while you let your data flow into the port you can also pour one down your throat. And how convenient that you can save yourself the trip to the bar and still share a drink with your best bud. After all, that’s what your computer is, isn’t he? Chances are he knows all of your personality, from your facebook account to your credit card number. And he listens to all your joys and sorrows from your emails. Maybe he even knows some of your most intimate secrets. But does he ever get annoyed or judgemental? Does he ever argue with you? No, he just sits there patiently at your service, fulfilling all your needs. Now let’s drink to such a good friend! Oh Man! I wish I had found these before christmas, everybody would have had one!It’s gotta be the bud one for me though, thanx man! .-= Building a Shed´s last [blog post] ..Give it Some Hammer! =-. Lol..This is amazing, you guys come up with the best USB designs ever, I’m quite serious some of these stuff are really innovative! I would love to see more! maybe animals next?? Wow, these are awesome. How come I only ever get promotional sticks that just say “Buy Widgets Form Us” or something equally as banal? .-= Dave@blog hatter review´s last blog post ..Blog Hatter Review Killer Bonus! =-. Haha, these are great! I thought I was cool in having a flash drive in a pen that had a laser pointer on the top, but these beat that, hands down! Ha! What a great site! 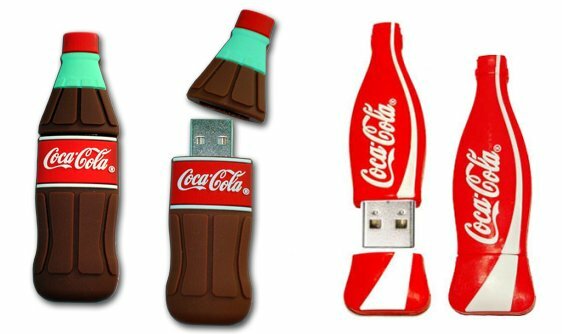 If they have “throwback” version of coca cola memory sticks that are made with real sugar then I might consider getting one. These are sick! 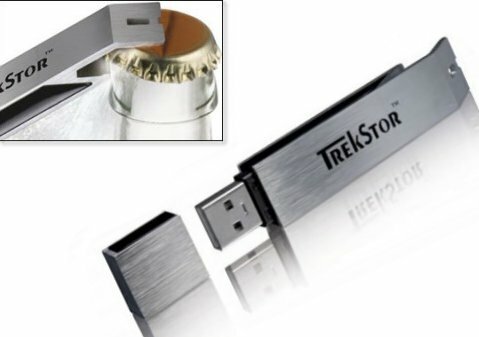 Wonder if they will come out with an MGD memory stick….or a Southern Comfort stick. So many possibilities!!!! What they should do is make one thats big enough to hold one shot of booze along with a few gigs of data. .-= Billy @ cleaning services mississauaga´s last blog post ..Online Cleaning Quotes, Why Get Them? =-. Stacie, it may help if you see it as a step-down withdrawal program. Can I fit a movie or two on a portable usb flash drive? How much space is needed? sure you can. If its an avi file, which is usually 700MB big, a 1GB flash drive will do. If you’re looking for an actual DVD rip (.vob) you’re looking at ca. 4,5GB and thus an 8GB flash drive. Obviously, if you had a memory stick of 32GB or the highest currently on the market, 256GB, you can fit anywhere between 45 and 365 (!) avi movies. These are very cool. 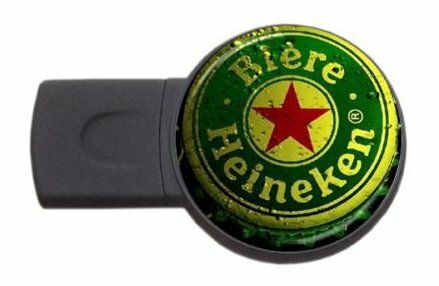 For sheer practicality you can’t go past the USB bottle opener but I’m also a fan of the bottle-cap and Heinken bottle USB. Oh! Theese flash drivers are great! I’d like to have one. These usb keys will make perfect prezzi’s for the office drinkers, and I might have to keep one for myself. 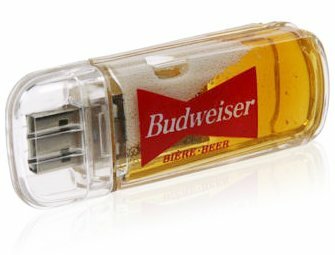 I am hoping to acquire an 8 gig Budweiser Flash drive. Can you you help? I need to know about a bulk order for Pepsi & Coke! These are nice! If you follow the links and add “bulk” into the search bar you should be able to find some good bulk offers.